Engine #1 | Historic Jacksonville, Inc. 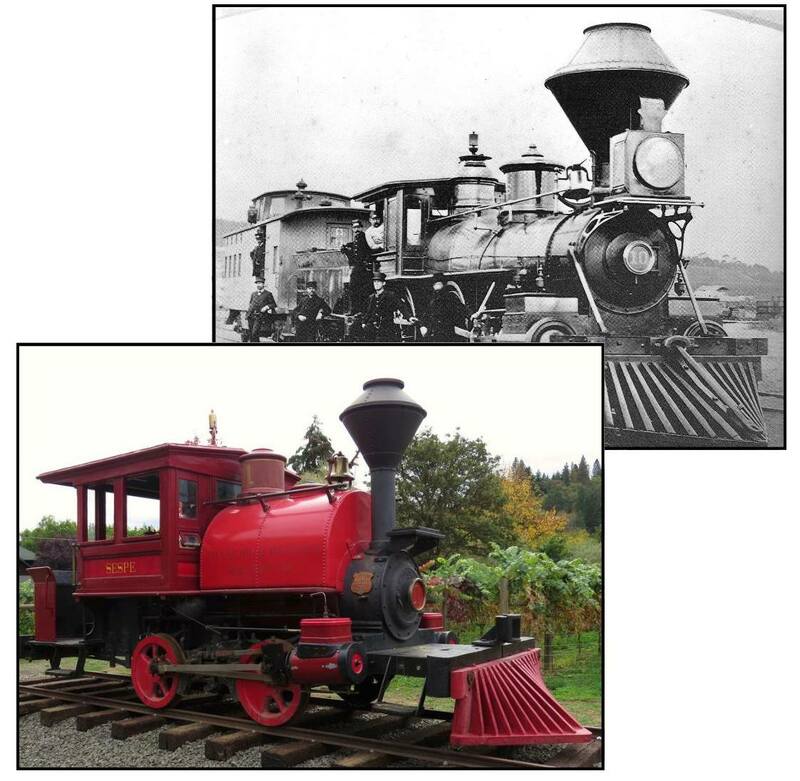 The Rogue River Valley Railway, which operated from 1891 until 1925, was Jacksonville’s attempt to maintain regional economic supremacy after the main Oregon & California/Southern Pacific railroad line by-passed the town in favor of the flat valley floor. The RRVR hauled gravel, bricks, timber, crops, livestock, mail and passengers over a 5-mile, single track spur line that connected Jacksonville with Medford. The Railway’s first steam engine, Engine # 1—fondly called the “Tea Kettle” and the “Peanut Roaster”—proved underpowered to haul heavier freight loads up the 3% grade from Medford. It was soon replaced by larger engines like the one shown. Engine #1 was relegated to passenger service, pulling a single Pullman car. In 2014, Mel and Brooke Ashland arranged for the purchase and restoration of Engine #1. It now sits on original track on the Bigham Knoll Campus at the end of East E Street.